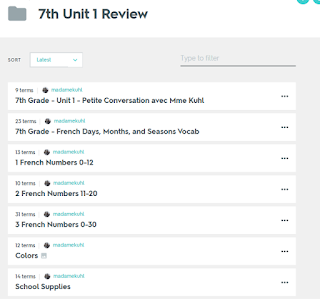 Class blog for Madame Kuhl's French Classes! 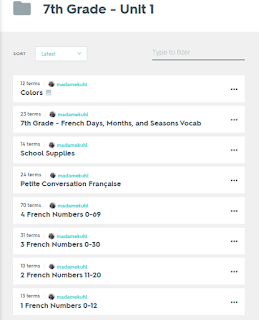 Click the image to go to the 7th Grade Quizlet sets for the Semester Final. Click on the following links to check out different French Clothing websites! 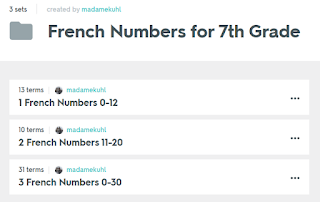 Click the picture to study numbers or learn some new French vocabulary! Click the image below to go to Quizlet to practice French numbers. Click here to Explore the different types of Colonies de Vacances that are available. Click 'Colonies par thématique' to get started. Click here for all a list of videos for different colonies de vacances on Youtube. I started teaching French at the middle school level in 2006. I enjoy helping students take their first steps towards learning and loving a new language!